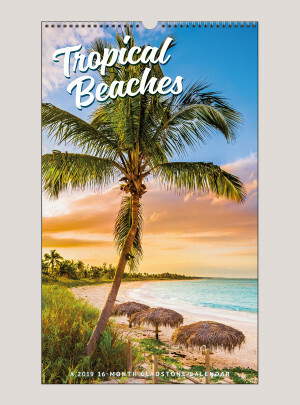 You don’t have to wait for vacation to escape to the world’s best beaches! 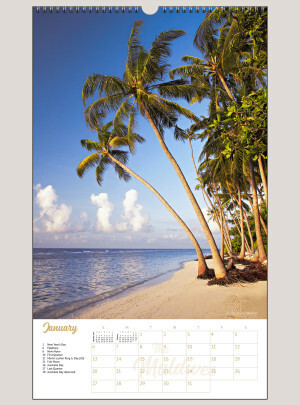 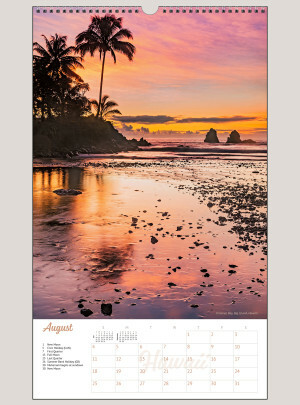 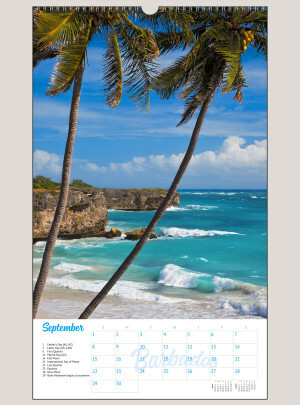 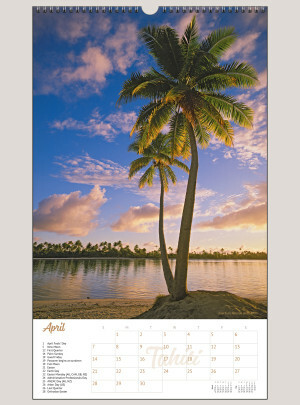 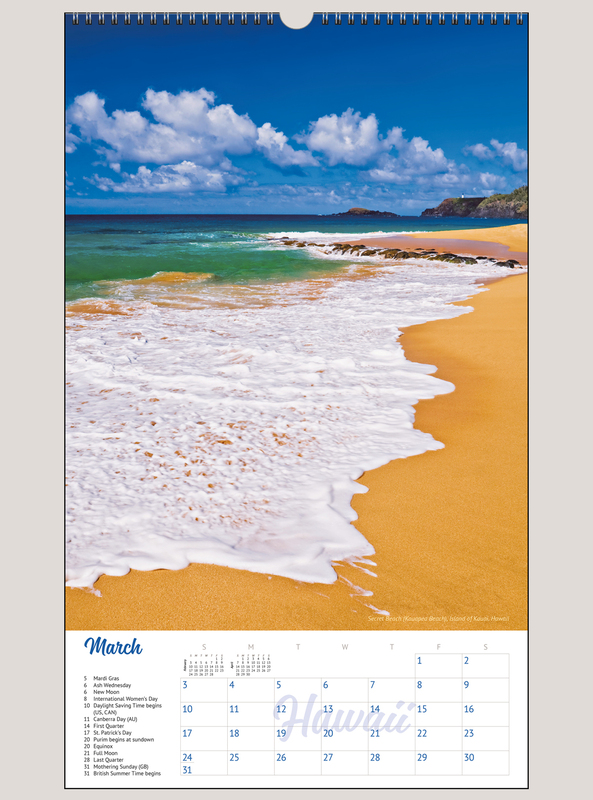 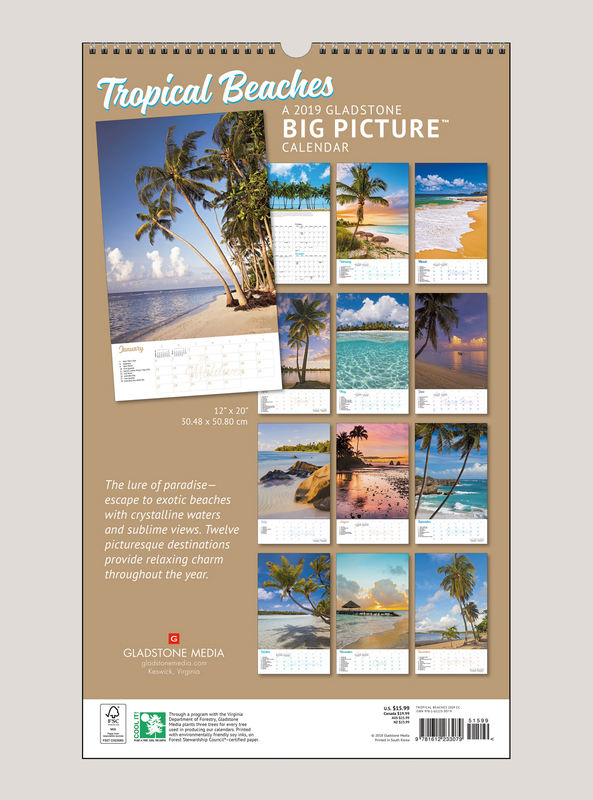 Nothing says paradise like a tropical beach, and this Big Picture™ calendar offers a generous dose of paradise—its giant 12" x 20" format heightens the allure of pristine sand, aqua waters, and swaying palms. 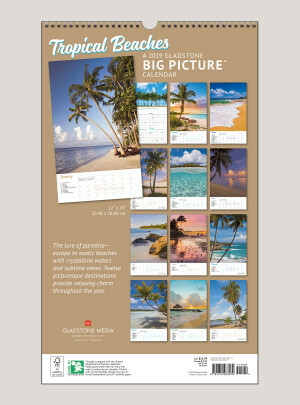 Festive script allows you to identify each exotic locale at a glance.